Core Publishing Solutions » CPS In The News! Home > CPS In The News! Thomson Reuters Core Publishing Solutions took part in thINK 2018, and was recognized as one of the Innovation Winners, for their production automation with i300 Newsletter products. Brandon Nowak, manager of Print operations was presented with the award. 2018 Printing Impressions Top 400 Printers List. Thomson Reuters Core Publishing Solutions continues to provide Book Publishers our end-to-end services, and is listed as Number 71 on this year’s report. 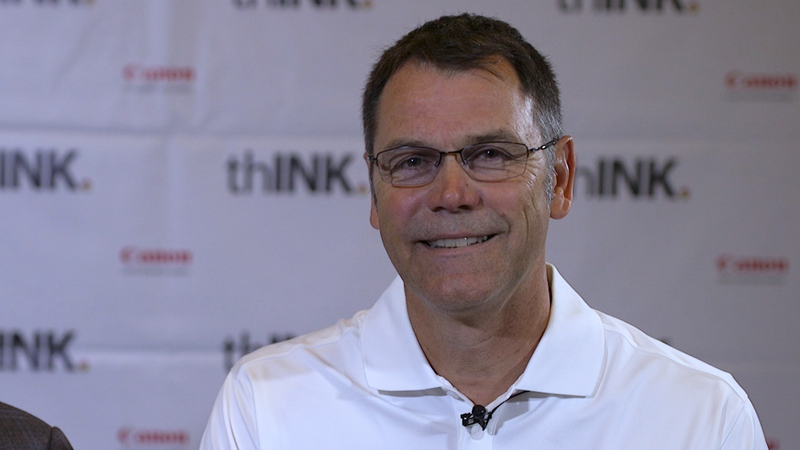 Todd Roth, VP Manufacturing & Distribution at Thomson Reuters, discusses digital print and publishing, his role as Chairman of the Board of thINK, and why Canon Solution America customers and annual conference attendees have an advantage in the marketplace. Todd Roth, VP of Manufacturing and Distribution, Core Publishing Solutions, at Thomson Reuters, discusses the company’s background in web press applications, their move into digital, and their new venture selling book manufacturing for other publishers. CPS continues to sustain our position, listed as No. 70 in the Top 400 Printers in the US. For two years running, Thomson Reuters Core Publishing Solutions has been named on the top 20 Book Manufacturers in 2016. We strive to keep our business model in line with today’s publishers’ needs, with a focus on strong customer service. Thomson Reuters Core Publishing Solutions takes great pride in being one of the top book manufacturers in North America. Our goal is to deliver superior value by providing our customers with indispensable information, insight, productivity tools and services that help our customers succeed. We use innovation and ingenuity to drive our growth. Because of this, we have been honored in many news articles within the printing industry. Single-color book printing is at the heart of Core Publishing Solutions’ value proposition, but the printing arm of Thomson Reuters is adding ink jet technology and outside clients to spread its wings. Using new, state-of-the-art technology, we are able to reach efficiencies others cannot. 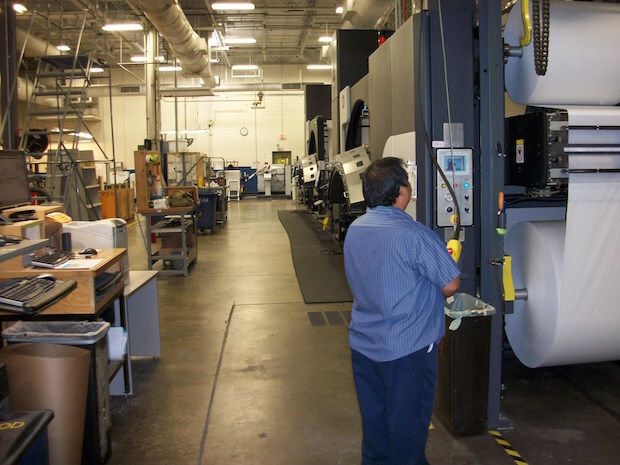 Core Publishing Solutions’ new Océ VarioPrint i300 sheetfed production inkjet press helps to manage shorter run lengths and quicker turnaround times. The print manufacturing market is constantly changing. In order to stay on top, companies must learn how to adapt and overcome. Core Publishing Solutions is taking this strategy to a new level in many different ways. Creating steady growth is an essential part of having a successful business. Despite the downward trends in print manufacturing, Core Publishing Solutions has been able to consistently climb the ranks and become the 6th largest book manufacturer in North America.